Due to 80 home sales in 2017, the new offerings at Bellmoore Park will include 66 homesites. The Providence Group of Georgia, LLC, a Green Brick Partner, is excited to announce a new phase now selling at Bellmoore Park in Johns Creek. This newest phase will feature a selection of wooded, slab or basement homesites with over 10 unique home design options available. Due to 80 home sales in 2017, the new offerings at Bellmoore Park will include 66 homesites featuring 53 homes from The Providence Group’s Carriage Home Collection and 13 homes from the Vintage Home Collection. Homes range from 2,400 to 4,200 square feet of luxurious living space and include options for main-level owner’s suites and guest retreats, two-story family rooms and three-to-six bedrooms. Within the new phase, pre-sale opportunities are available on Homesites 344 through 365 and 386 through 403. 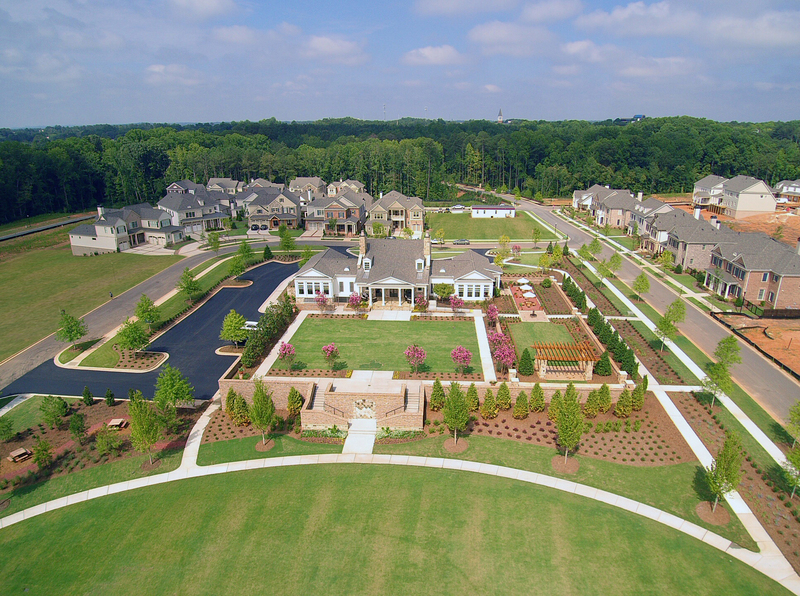 Bellmoore Park is an upscale, gated community of single-family homes in Johns Creek. By the time of completion, Bellmoore Park will feature more than 600 low-maintenance homes with rear and front-entry garages. Recognized with Gold OBIE Awards for Best Amenity Package and Master-Planned Community of the Year, Bellmoore Park is unlike any other with homes priced from the $400,000s to $1 million. Community amenities at Bellmoore Park include a clubhouse with fitness center, a leisure pool and zero-entry kid’s pool with water features and splash pad, eight lighted tennis courts with viewing stands and covered pavilion, playground, wedding garden, event lawn, large oval park with bandstand and over 70 acres of greenspace and pocket parks. Additionally, residents at Bellmoore Park enjoy convenience to nearby shopping, dining and entertainment options at The Forum-Peachtree Corners, Avalon, North Point Mall, Verizon Wireless Amphitheatre and the Chattahoochee River, to name a few. Children living at Bellmoore Park attend Fulton County schools at Wilson Creek Elementary, River Trail Middle and Northview High. Model homes, located at 10015 Grandview Square in Johns Creek, are open daily for tours. To register for the Bellmoore Park VIP Interest List and be the first to know about new-phase pricing and official homesite release dates, visit http://www.BellmoorePark.com. For complete details regarding new-home opportunities from The Providence Group, visit http://www.TheProvidenceGroup.com.